Sinister Visions News and Updates: Rounding the Corner to the Halloween Season - Book Your Projects Now! Rounding the Corner to the Halloween Season - Book Your Projects Now! There appears to be a misconception that I'm too busy to accept new client work at this time of year, and it simply isn't true (in fact, it's very rare that I turn away new work no matter what). 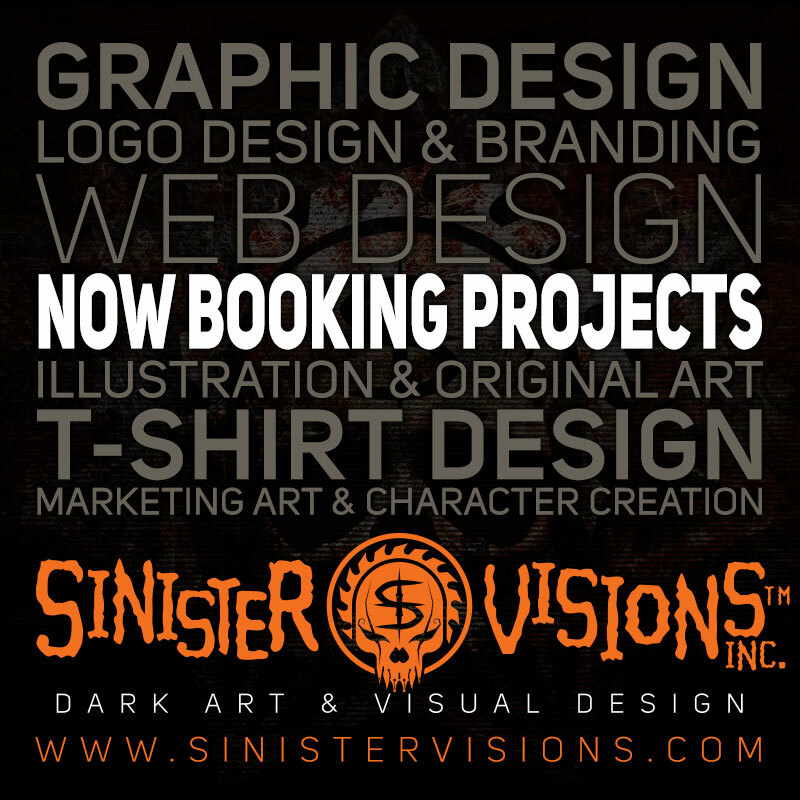 If you're considering having a new logo, artwork, website or printed piece designed for your Halloween/haunted house, escape room attraction or other dark- or amusement-themed business, please don't hesitate to email me at savage@sinistervisions.com or call 916-SPOOKY-1 to discuss it!